"I assure you that I have received a type of treatment I almost forgot it existed. I was captivated by the centre's hospitality, kindness and professionality. I will always stay faithful to Studio Vukic." "I was scared when I came here, but now I'm leaving with a renewed smile. Thank you from the bottom of my heart for your kindness and the experience. Thank you - thank you - thank you." "Top quality - kindness - clean - serious." "I felt comfortable in your studio." 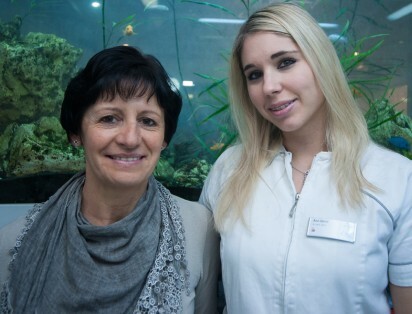 "Long live dental studio Vukic in Zagreb, where with friendliness and professionalism, they give you back your smile that you were deprived of in Italy, especially in Calabria, where I live. Best wishes to all from Nando Segretti"
"Hi to all of you! Thank you all a lot on our wonderful new teeth. The result has exceeded all our expectations. 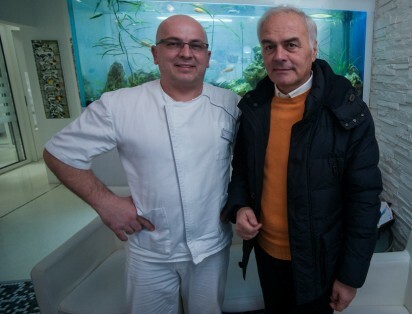 We had a wonderful time because of your professionalism and your friendliness. Accommodation was nice and comfortable. We felt like we were at home! We will surely recommend your clinic to all our friends and acquaintances. Thank you once again. We will always remember you." "I would like to express my satisfaction with competence and professionalism of your staff.